We provide efficient online live chat support outsourcing services that will assuredly raise your customer satisfaction levels. 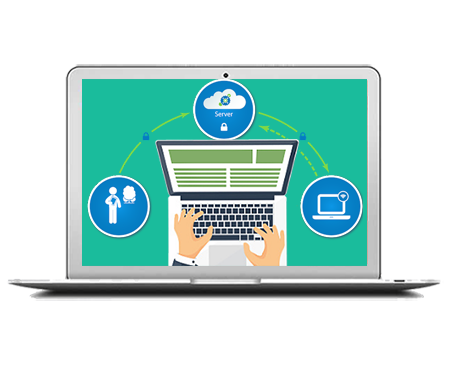 Webappmate, a leading outsourcing company in India, offers cost-effective Live Chat Support services to customers around the globe. Our comprehensive live chat support provides personalized customer service for various technical as well as non-technical products and services. Live chat support helps companies interact with their customers by proactively inviting them to an online chat to provide support regarding their products or services in real-time. Chat support provides companies with an effective two-way communication system that can be utilized as an interactive customer support tool, as well as an effective marketing aid that converts browsers into buyers by providing them with sales and marketing support. Additionally, in comparison with live phone support, which requires heavy initial investment and high operating expenses, live chat support is available at a cost-effective and affordable price structure. We also specialize in providing the best-in-class video chat customer services at cost-effective prices. We do our best to provide cost-effective services to you and our Chat support rates are amongst the lowest around.Whether you need for e-commerce, we have exactly what you’re looking for. Provision of cost-effective pricing: You can save up to 45% with our reasonable price structures tailor-made for single-operator and multi-operator accounts. We also provide discounts for small and medium-sized online businesses with chat support requirements. Easy to customize chat support: Our free-to-use chat icons, chat invitation skins, operator pictures and header background images allow you to customize the visual aspects of the chat window on the visitor's side and give your website a unique edge. We also provide Spanish chat support and other bilingual and multilingual chat support services. Secure and reliable services: Webappmate provides secure 256-bit SSL encrypted connections for all live chat support services. This ensures data security and prevents unauthorized parties from reading your live chat conversations. Experienced chat support executives: Our well-trained chat support executives are hired according to your specifications. Our experienced executives are prompt in answering live chat requests and are capable of handling multiple chat requests simultaneously. We also provide Microsoft Certified Engineers for technical chat support. Real-time website monitoring and traffic analysis: Subscribing to live chat support services enables you to get access to details about your website visitors by viewing real-time monitoring results in the Live Chat Operator Console (location, referrer, visited pages, keywords, etc. ).